The reduced Whitehead group SK1 of a graded division algebra graded by a torsion-free abelian group is studied. It is observed that the computations here are much more straightforward than in the non-graded setting. 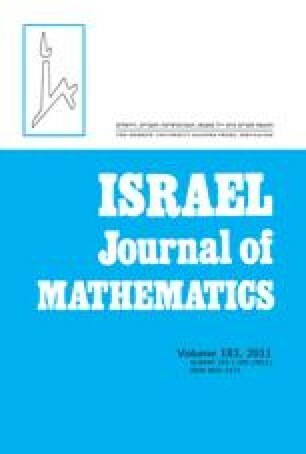 Bridges to the ungraded case are then established by the following two theorems: It is proved that SK1 of a tame valued division algebra over a henselian field coincides with SK1 of its associated graded division algebra. Furthermore, it is shown that SK1 of a graded division algebra is isomorphic to SK1 of its quotient division algebra. The first theorem gives the established formulas for the reduced Whitehead group of certain valued division algebras in a unified manner, whereas the latter theorem covers the stability of reduced Whitehead groups, and also describes SK1 for generic abelian crossed products. The first author acknowledges the support of EPSRC first grant scheme EP/D03695X/1. The second author would like to thank the first author and Queen’s University, Belfast for their hospitality while the research for this paper was carried out. Both authors thank the referee for his or her careful reading of the paper and constructive suggestions.